This dish is great as a side or can take the stage as your lunch entree. Best enjoyed in the sunshine with your cocktail of choice. Cook bacon on a skillet over medium heat for about 3 minutes, flip, and repeat. Drain oil, cut into small pieces, and set aside. Place the olive oil and onion in a saute pan over medium heat for 3-5 minutes. When onion becomes tender, add garlic and stir continuously for 1 minute. Stir in beans and water, cook for about 4 minutes. dd lemon juice, parlsey, and salt and pepper to taste, stir well. 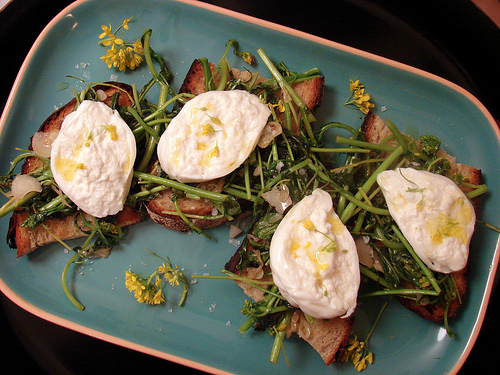 Place washed arugula in a large bowl. Add the bean mixture and toss to coat. Top with bacon and serve.